Humans are descended from ancient apes, and like them (and modern apes) we are generally omnivorous. But should we still eat meat and animal products? Animal rights activist Katrina Fox doesn’t think so. It is not an easily dismissed idea – after all, just because something is ‘natural’ doesn’t mean it’s good. Yet I remain unconvinced that veganism is the only ethical way to eat. Fox checks all the boxes on the reasons-not-to-eat-meat list, citing the sentience and higher-level thinking of animals, the lack of a biological necessity for animal foods, the conditions under which animals are farmed, and the ecological cost of animal farming. She also raises a historiographical argument, which I’ll leave until last. Animals are expensive, from a natural resources standpoint. I’m sure you have all seen the statistics at some point – one kilogram of beef takes about 15,500 litres of water to produce, counting the water used to grow the grass/hay and grains that cows eat. For sheep, it’s 6,100 litres per kilogram of meat, a litre of milk takes 1,000 litres of water, one egg requires 200 litres, etc. In a world where fresh water is scarce, it’s a sobering thought. Then you have the vast deforestation to gain more grazing land, the use of fertilisers and pesticides on pastures, the degradation of the land and displacement of other species by herds, and the various byproducts of all the fossil-fueled industrial processes used in rearing and harvesting and distributing. To my mind, this is by far the strongest argument to eat less meat, or go without entirely. If having a smaller ecological footprint is important to you, you really should go vegetarian. The methods by which animal products are produced is probably the most high-profile of the animal-rights issues. Fox decided to make it the centrepiece of her opinion column, even going so far as to say that the trend towards more humane treatment of animals raised for food is “a giant step backwards”, criticising the RSPCA and Peter Singer for suggesting there can be such a thing as “humane slaughter” and their efforts to improve the lives of chickens and pigs destined for our plates. Fox clearly feels this is letting humanity off the ethical hook, as she would prefer we examine our need to use animals instead of how we treat them before killing them. It looks like a classic case of letting the perfect be the enemy of the good. Reducing unnecessary cruelty to animals is something to be welcomed, not castigated for not going far enough. Surely even Fox recognises that her project is a very long-term one, and that steps in the right direction are to be supported? I, for one, am pleased that we can bring about positive change in our consumption habits just by convincing people it’s a good idea – it reinforces my view that persuasive power and voluntary action are suitable vehicles for a great deal of cultural progress. If only people allowed them to flourish in other areas as well. But I digress. Vegetarians have long made the case that we humans don’t really need meat to survive. It’s true. In fact, over-consumption of meat (from an evolutionary point of view) is a prime cause of coronary disease, colon cancer, and a factor in several other cancers and degenerative diseases. Protein can be had from other sources, and mineral and vitamin deficiencies are not really an issue- if you are careful, B12 supplements are advised, but that’s about it. However, there are many things which aren’t necessary for human survival. Chocolate, for starters. You could live healthily on Dozer’s “single cell protein combined with synthetic aminos, vitamins, and minerals” porridge, but is that really living? Here we see another side to the vegetarians who make this argument – an underlying asceticism. To them, eating meat is “pure extravagance”, in the words of aggressive vegetarian George Dvorsk. But that’s not an argument, it’s a philosophical position. Katrina Fox states unequivocally that animals going to the slaughterhouse are “sentient”. She just slips it in there, without batting a metaphorical eye. While her column bears the signs of having been cut down from an earlier, more substantive piece, I suspect that even in the previous incarnation there was no attempt to expand or explain this claim. Why should there be? By the simple definition of sentience – to experience the world subjectively – all our food animals qualify. Generally it is expressed as the ability to feel pain and pleasure, as Fox does in her second paragraph. I disagree with this formulation (bearing in mind that we can never know for sure what animals experience and can only rely on proxies and inference). It is surely absurd to imagine sentience as being a binary condition that you either have or you don’t. Far more plausible, I feel, is the concept of a spectrum, or sliding scale, of sentience. This is formalised in the sentience quotient. Given this spectrum, it makes sense that we don’t treat all animals equally. Humans, being the most sentient, deserve the most rights. The most basic animals and insects, with essentially no measurable sentience, deserve none. The rest fall somewhere in between, but I don’t think it’s helpful to declare all vertebrates sentient beings that should therefore be co-equal with humans. It leads, in the extreme, to logical conclusions that even the most vehement vegan would reject – we shouldn’t cut down any trees that house birds; it doesn’t matter if you save the goldfish or the toddler from the housefire; lions should be prevented from eating gazelles. I exaggerate, but it highlights the central problem – differing conceptions of suitable divisions in the world. Vegetarians shouldn’t delude themselves that they are being moral absolutists in granting food animals the agency we give to certain privileged species but typically deny to others. There is still a dividing line in the vegetarian ontology, it’s simply in a different place to the majority view. There is still a subjective perception of moral worth, it’s just more inclusive in a vegetarian framework. By ignoring the interconnections existing around issues of animal liberation, we do ourselves a disservice strategically while deliberately marginalizing the suffering of tens of billions of beings. After all our experiences of struggle, we should have the vision and courage to engage with new struggles for liberation, for in the end we all share common aims. There are many issues here that we can start discussing, to develop participatory means and analysis further in addressing animal liberation. We on the Left generally, have recognized other forms of oppressions even when misunderstood, unpopular or denied by those in power. Now its time to recognize the rest. I don’t know whether to be amused or saddened. Amused that people genuinely believe that we can equate emancipation and workers’ movements with the subjective reality of chooks. Saddened because people want to take moral equivalence so far. What’s next, giving dolphins the vote? As far as I’m aware, all hunter-gatherer peoples held animals in deep respect, with ritual and prayer surrounding and suffusing every hunt, their deaths imbued with great meaning. Animals were a source of life and strength and spirit, both a means of survival and an end in themselves. This is the ethic that I feel our modern society lacks – using animals respectfully. Not worshipping them, not elevating them to human status, but seeing our intertwined lives in a shared world as part of a greater cycle of life and death that deserves respect, not sentimentality. There are some related points that didn’t fit into the post’s main objective, so I’d like to bring them up here where they won’t interfere. Giant pandas had relatively recent ancestors that were carnivores. Their digestive systems haven’t fully adapted yet. That’s why their restrictive vegetarian diet leaves them slow and sleepy, despite eating vast quantities. Recently it was revealed that what had been sold as organic pork (which includes being free-range as well as chemical-free) in upmarket restaurants was in fact factory-farmed. There are only two organic pig farms in Australia so far. Laboratory meat may solve all of the above problems in the long run. This entry was posted in environment and tagged animal rights, environment, ethics, food, health, human rights, inequality, left, media, philosophy, science. Bookmark the permalink. There is another way of looking at our relationship with animals, and it’s actually the way of most hunter-gatherers, as far as I know: They actually are “equals” on the same plane as human animals, deserving of great respect. But that doesn’t mean they’re not subject to the inescapable laws of biology, which are that we will ALL become food. What is flawed is the notion that we can extend to animals the right we have artificially extended to ourselves – the right not to be killed and eaten. It’s actually not a right at all. Vegetarians and vegans prefer to opt our of our position in the food chain. That’s fine with me, but I prefer to be what I am – an omnivorous animal. Growing cereals – wheat, rice, in australia comes at a huge cost in lost soil , lots of energy intensive superphosphate ( lots of CO2) and so on. 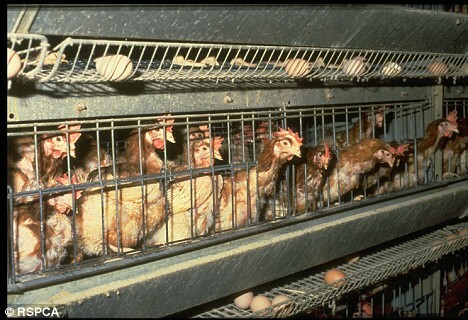 Free range animals are provably the least damaging way of producing food in 90% -98% of the country. Veganisum( if taken up by all) , is in australia , unsustainable. John, growing crops is much less damaging and much less resource-intensive than supporting animals. I don’t think there’s any point in denying it. But I agree that free-range animals is the way to go. Also, everyone should eat more kangaroo. Not actually true for this country most of australia %98 is not at all suitable for growing cereals/legumes, and these are the crops you need if you want to ‘ go veg’. And growing cereals needs a lot of help with phosphate( something that is is very deficient in our ancient soils) -fertilizer can be used to make Bombs because it is concentrated energy . I will try to dig up the links to two CIRO scientists about this , Flannery would also back this. Chickens should be in all back yards , they convert waste scraps into food- eggs and meat at an amazing ratio , far better than any mammal, placental or marsupial. But Marsupials are very efficient converters of poor country into food, and are delish! Australia has little of the sort of feedlot production of beef and sheep that is common in the EU & US. No question ;Factory farming battery production of pigs and chickens is both cruel and wastefull , (and it also produces animals that are unhealthy to eat). Irrigation of pastures dos happen, mostly in the murray basin, mostly for milk production; its future along with all irrigation is looking pretty unsure. I live in high cold dry valley about 30k wide and about 80k long, (there are a few 100 hectares of irrigated flats on the Shoalhaven, but thats all) The growing season is very short and our annual rainfall these days sits at about 450mil – marginal for farm forestry. The nor-westerlys that are much more common these days can strip tones of exposed soil in a day. The main products of the region are free range beef & lamb and superfine wool. What exactly would you replace this with that was a better, sustainable, productive use of this area? What do those figures about water use actually describe: rainfall or what? Sentience is a slippery word. If it means “pleasure & pain” then it exists in every animal that has pleasure & pain receptors. Yawn. But if it means an ability to frame a sense of self and think yourself the author of your own destiny… then that is a rather more complex issue. I agree that actual ability to control your own destiny may be on a sliding scale… but perception of such an ability is by definition either there or not. In my opinion, any being with a perception of themselves as the author of their destiny will also develop a need for complex language… and so the existence of complex language provides a good proxy indicator for whether a specie has a sense of self. It is this same sense of self that turns an animal into a moral agent. You can’t be a moral agent unless you believe yourself to be actively controlling your destiny. You’re responsible for your choices, but not your instincts. That’s why we’re not angry at lions that eat gazelles… because we put it down to instinct. (Correctly, in my opinion.) But we are angry when a human kills another human… because we put it down to choice. I believe moral agents *should* act in certain ways… including respecting the self-ownership of other moral agents and taking responsibility for their own choices. I can’t see any metaphysical reason for respecting the self-ownership of a being that doesn’t have any real sense of self-ownership anyway. That doesn’t mean people should do whatever they like with non-talking animals. I believe humans should have the legal right to do whatever they like with non-talking animals… but I think it is natural and good for humans to have a preference for pleasure and aversion to pain wherever they see it. There is no simple line aware/not aware, but creatures that move around a lot ,live in complex groups, hunt and kill ect have more selection pressure towards complex brains than say oysters. Hey there, merely a brief comment to swing by and express thanks to your remarks in this post. I wound up on your weblog right after searching for health and fitness related stuff on Google… guess I lost track of precisely what I was doing! Well, I’m off and many thanks for writing your ideas. I’ll be back again at some point to see your latest blogposts. Cheers!